It was with great sadness that I had to put my 12 year old britt, Bourbon's Lucky Penny MH, down this week. 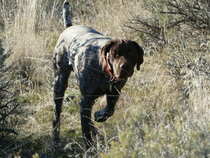 She liked finding quail in hunt tests, but her true passion was wild Nebraska pheasants, and she was GOOD at it. Along with finding birds, she was my truck co-pilot, a great house dog, and an excellent bird dog producer(4 litters--39 pups). 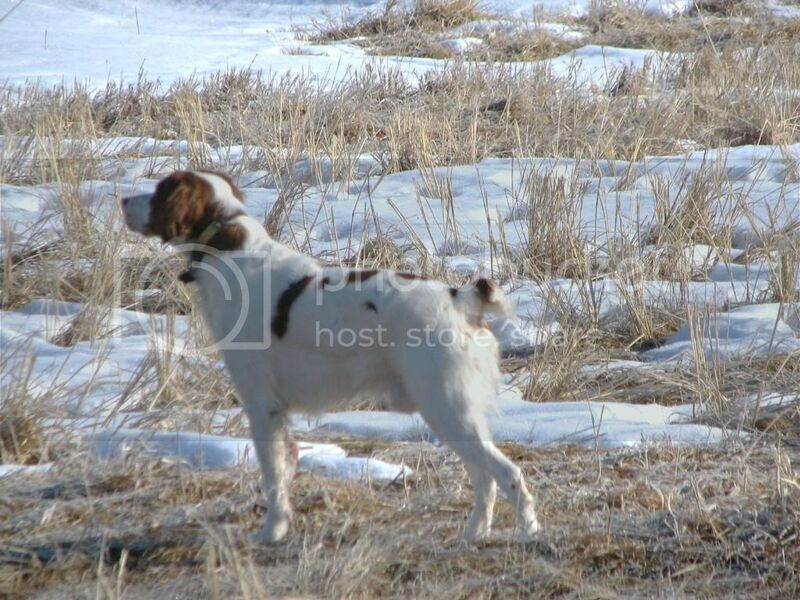 I get a lot of calls from people who bought one of her pups telling me what a great family pet/hunting dog that she produced. I have 2 AKC master hunters out of her to remind me of her, but she is still missed a lot RIP Penny 4 and hold that rooster point until I join you in the future. They give us so much and ask so little, she sounds like she was a special one. Sound like she left you with a lot of great memories. Sorry to hear. They become such a part of our lives and you were able to give her a great one. You lost a good one that left many memories and offspring. Never forget! she was a nice dog sorry for your loss. Sounds like she gave you a great life and you her..........the good ones never leave you really. Never an easy thing but that's the deal we make with our dogs. I hope the memories you made with her carry you through. RIP Penny. I remember her doing well in the Battles of the Network Stars.